Lionel Messi celebrates a goal for FC Barcelona. 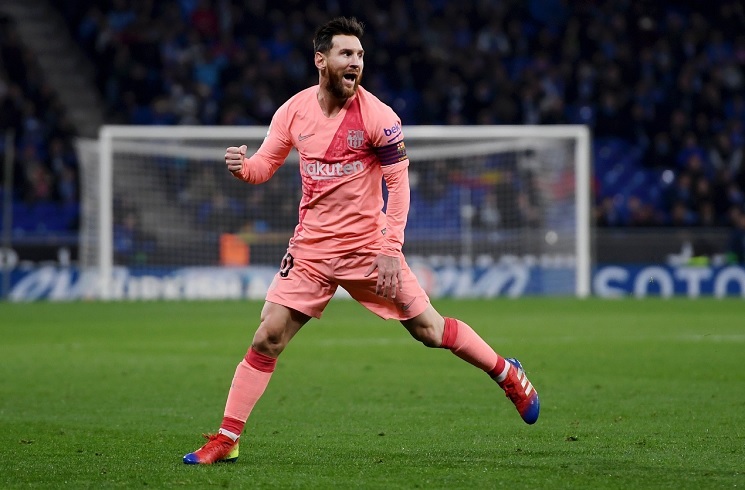 Lionel MESSI scored two free kick goals in FC Barcelona’s 4-0 win against Espanyol. 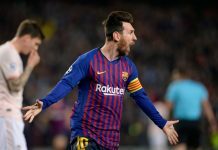 It was the Catalan derby and Lionel MESSI did not disappoint. A goal in each half with an assist in between saw the 5th best player in the world, according to France Football, break another La Liga record. MESSI became the first player to score 10+ goals in 13 straight La Liga seasons. Lol 2 free kick goals from that distance in the same game and barely gets attention here. Messi fatigue is a real thing. Nothing unusual happened. He does this all the time. Everybody with a brain knows Messi is the best. Yes but it’s still baffling when people say they don’t want him in the team anymore. I don’t think I’ve read anything crazier wHen it comes to sports news. Can anybody tell me how Juan musso performed today for udinese? Probably worst player on the pitch. Tata martino won mls final. Hereafter dont do any prediction. I said „probably“ will lose. I always cover myself in my declerations and predictions. The only time I did not was with France 2018. I said straight up they will never win in 2018, because of Deschamps but thought they will win it in 2022. i was wrong. I can admit when I am/was wrong. I am just a fan. It seems though that I am in your head somehow. I must have done something horrible to you. Sorry „STAN“. Dont be mad I love you. Congratulations to Tata, nothing against him. He had his chance but failed and let himself become a puppet. Happy for him and the players and city. Atlanta truly deserved it 62 thousand fans who cared for the team. possible line ups for tonight game. ¡VAMOS POR LA GLORIA HISTORICA RIVER ! Don’t see favourite here but hope River win. yes there is no favourite true. it is 50-50. Otamendi seems to be only the 3nd choice of Guardiola as central back. Something different when Kun is injured, the attack is less fluent. Fernandinho is already 33, I think if City should consider Paredes. I like Angel Correa’s recent form, was a complicated game for him but got better when Vitolo came in so that he could move to the striker position. Very good coaching from Simeone with his changes. It’s been the 1st time since a long while that I saw Sevilla focused more on defending. Banega was almost to score, quite good last night. Good game for Vazquez with his usual work-rate and his intelligence, he played almost as a defensive/box to box midfielder. Mercado was ok, his work with Promes(what a player) on the right made Guedes silent. I like Machin’s coaching and this 352, it is a proof that you can play without any natural DM. Would be great to see NT gives a try to this style of football. This man could have 3 world cups in his trophy cabinet but Imbecile coaches and washed up selfish oldies destroyed his dream!! Still not too late.. Can still retire with 2 Copas and a World Cup!! What? even Spain and Germany with neirly 2 world class players in every position won only one, you live in a dream world. “washed up selfish oldies destroyed his dream!” like Cambiasso, Riquelme and Ayala in 2006? or who? 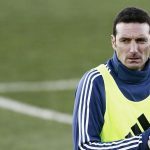 Pekerman fucked up everything with the absence of Zanetti, not playing with Messi vs Germany and the Riquelme sub.In 14 the best 11 played, unlucky Di Maria and Aguero got injured, in 2010 and in 18 the coaches were horrible. That must be a sarcastic comment about being the fifth best player according to France football. …and they claim Luka or Christina …etc are better !!! In 2006, I heard about a story that Zanetti and Veron were dropped because of some rivalry between Villareal(Riquelme and Sorin) and Inter(Veron and Zanetti) players. Honestly I don’t think would have changed much. In 2010, if Maradona put Cambiasso and Lucho behind Messi, it would have made huge difference. 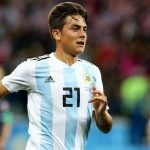 Even this year, I am still convinced that, even without Romero and Lanzini, NT had the material to qualify as the 1st in the group stage if Sampaoli selected the right players and used a basic 442 instead of his fancy ideas. That was a True story. GOAT’s magic is going on!